JESSE SNIDER‘s debut album “16” was featured on the KLOS Morning Show. Snider fronted the band with guitarists Jess Tzimas and Brad Jurjens, Johnny Locke on drums, and Evan Johns on bass. I STOLE YOUR LOVE was the first song from the UJN house band: Matt Starr on drums, and vocals – from Mr. Big, and Ace Frehley, Walter Ino on keys, guitar, and vocals -from Survivor , Mitch Perry on guitar, from MSG, and RATT – Quiet Riot‘s Chuck Wright on bass, who, as a member of House of Lords was signed by Gene Simmons. CALLING DR LOVE featured Keith St. John on vocals, Sean McNabb on bass, Westfield Massacre‘s Ira Black and Steven Brewer on guitar with Dio Britto on drums. HARD LUCK WOMAN was then performed with Joe Retta, Steve Wilson on drums, Sean McNabb on bass, Michael Martinsson on acoustic guitar and Jay Gore On 12 string acoustic guitar. WORLD WITHOUT HEROES had Christopher Allis on drums Johnny Martin on bass, and Steve Dawson on guitar, Walter Ino on keys, and – Koi Anunta from Adam Lambert on violin and on lead microphone was Kevin Parker Robinson. 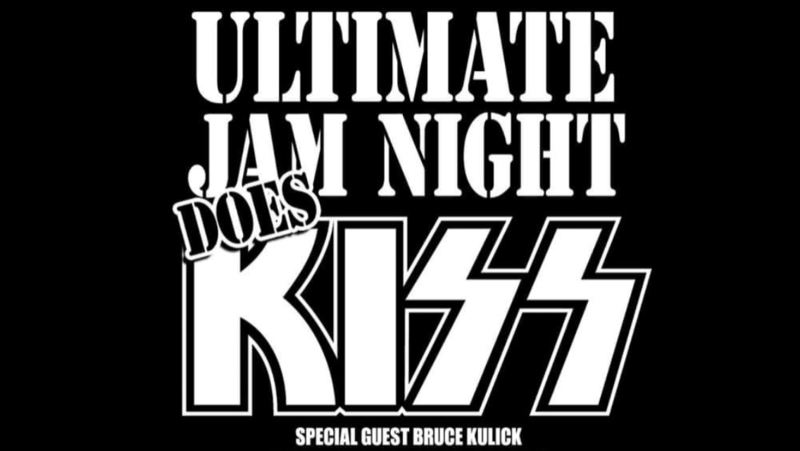 “CREATURES OF THE NIGHT” featured long time member of KISS and serving as musical director for the evening, Bruce Kulick on guitar, with Joe Travers on drums, and Ben White on bass. REASON TO LIVE added KC R Carnage from The Sunset Jam on vocals and Survivor’s Walter Ino on keys. PRISS, an all-female tribute to KISS includes Rolly Devore on drums Andrea Zermeno on bass Jennifer Paro on guitar Moa Henriksson on guitar and vocals, who performed LOVE ME and DEUCE. ROCK & ROLL ALL NITE ended the UJN show with Paulie, Starr, Wright, Perry and Alex Kane.